All lectures include time for questions and answers, and many can also be delivered in an extended workshop format: half-day, full-day, or weekend program. Most include elegant Powerpoint visuals. Dr. Borysenko can tailor a presentation specifically for your group, or you can choose one of those described here. If you are considering a musician for your venue, Dr. Borysenko works with Karen Drucker whose well known inspirational music is upbeat, inspiring, and one of the most memorable experiences of any program. For more information, visit www.karendrucker.com. Dr. Borysenko is delighted to work with you to develop a custom presentation ranging from a lecture to a weekend workshop specifically for your group. The following is a sample of some of her most popular topics. These can be varied for professional groups, corporate events, and the general public. Dr. Joan is a talented, engaging speaker who makes every topic exciting, relevant, and authentic. She informs, inspires, and gives tools that change lives- all with her trademark wit, wisdom and easy going style. Your group will remember her presentation for years to come. Click a topic below to view the description. Resilience is more than the ability to bounce back from adversity. It is a transformative process that reveals our inherent nobility, a rite of passage from pieces to peace. Resilient people face reality head-on, take action, find deeper meaning in life, laugh often, and are masters of improvisation. The good news is that resilience isn’t a genetic gift for the lucky few. Modern psychology and neuroscience have clearly identified the attitudes and practices that support resilience. Both adults and children can learn these skills and help bring one another and our planet through the challenging times we live in. Explain liminality as the time between no longer and not yet. Teach 5 techniques that increase activity in the left prefrontal cortex, supporting emotional balance. Resilience is an embodied state of mindful, compassionate attention to the needs of self and others. It creates an interpersonal field of open mind and heart, in which information and intuition flow organically, cultivating excellence. Empathy, the forerunner to compassion, can be either positive (caring); or negative (merging). The former activates the reward circuits of the brain. The latter activates pain circuits, setting the stage for compassion fatigue. In this workshop, participants will learn skills, both for themselves and clients, that promote positive empathy, mindfulness, and the installation of positive experience, leading to increased resilience and happiness. Where Mind-Body Medicine Meets Mental Health: An Update on the Science of Wellbeing. The most important determinant of physical health is mental health. While we’ve known that for years, new findings in neuroscience, nutrition, immunology, and epigenetics on the one hand, coupled with a growing emphasis on somatic therapies and energy medicine on the other, have opened new doors to healing and wholeness. In this research-based practical presentation, participants will learn how adverse childhood experiences set the stage for chronic illness and substance abuse later in life through epigenetic changes, neurochemistry and immune function. Dr. Borysenko will examine how approaches based in interpersonal neurobiology, mindfulness, meditation, somatic techniques and narrative medicine can help restore physical and mental balance. Compassion is the awareness of suffering, and the desire to alleviate it. Compassion activates the reward circuits of the brain, inhibits the stress response, and increases psychological and physical wellbeing. Research in interpersonal neurobiology describes how the mind is both embodied in the brain and nervous system, while also embedded in relationships. The quality of relationship affects the release of informational molecules by the brain and gut. These signaling molecules turn genes on and off and predispose to health or disease; anxiety, depression or equanimity. Loving relationship to self and others is the crucible from which health and healing emerge. Fortunately, compassion can be cultivated with simple mental tools derived from meditation practice, mindfulness, and positive psychology. One of the most widespread problems in healthcare today is the alienation created by burnout and compassion fatigue. In the Healing Arts- and in any client relationship- the relationship itself is part of the medicine, a field of trust and care that forms the fabric of excellence. When the relational field is strong, trust is built, symptoms are reduced and patients become more mindful, skillful, and empowered as do the clinicians themselves. Re-inspiring staff to care for themselves is a critical component of patient care and satisfaction. This fascinating and practical keynote or workshop provides a close up and personal tour of burnout- how to recognize it; how to prevent it; and how to reverse it. We live in a fast paced, information dense culture where the inbox magically fills with more to do’s than can be done. The result, especially if you’re a hard worker who cares deeply about what you do, may be burnout. Are you emotionally exhausted? Physically depleted? Snarky? Depressed? Working more and getting less done? In this program you’ll learn about the 12 stages of burnout so you can get a read on where you are and how each stage can open the door to new possibilities and a more authentic, effective life. You can do more than get your groove back. You can use burnout as an opportunity to connect more deeply with the passion, purpose and aliveness that inspires a creative and fulfilling life. Nutrition for the 21st century takes genetics, epigenetics, and our symbiotic community of 100 trillion gut microbes into consideration. That said, there is no one size fits all diet. When Joan and her husband adopted an ultra low-fat vegan diet, they were surprised that their health deteriorated instead of improving as is often the case. What was the problem? Joan put on her cell biologist hat and did some serious science sleuthing, separating the proverbial wheat from the chaff. A plant-based diet (including Plus foods that can range from meat to dairy, and from grains to beans) is key to good health when personalized for individual needs and sensitivities. Simply put, diet is not a religion, it is a science. And when done correctly, a great pleasure. 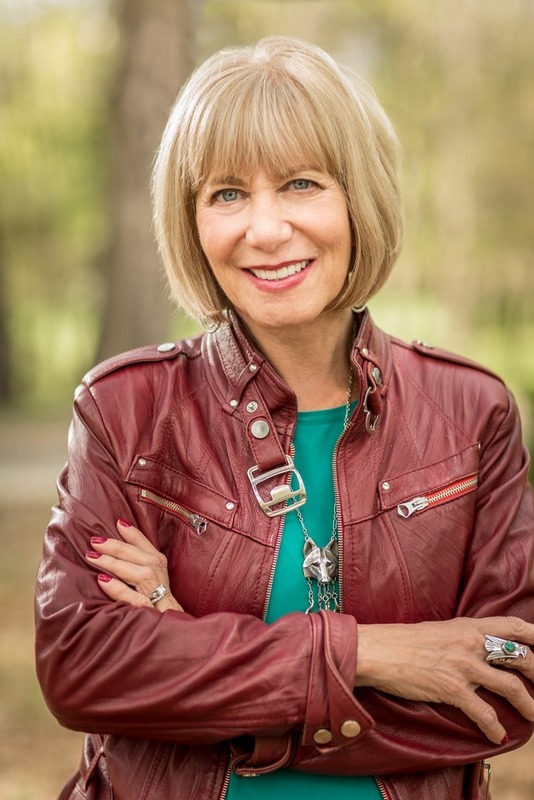 Joan has created a variety of corporate programs in mindfulness, health, trauma, and the biology of perception and how to get out of the box. These are tailored to the needs of the group. The talk is personalized to the group, weaving together the most relevant themes covered in some of the other presentations listed above. Narrative medicine is a fascinating field that recognizes the role of story and meaning in health, happiness, and wellbeing. In this weekend writing workshop led by a New York Times best-selling author known for her tender exploration of the human spirit, you have the opportunity to rewrite your own narrative and discover the vector of love that forms the invisible warp of light upon which your life story is woven. The stories we habitually tell ourselves change our brain circuitry, our relationships, and path through the world. They can elevate life to heaven on Earth, or drop us unceremoniously into the fire. If you’re thinking about this workshop, you weren’t born yesterday. You’ve lived and loved, won and lost, celebrated and grieved. You have a lot of stories to tell. All stories have an inside and an outside. The outside is linear- it happened in what the Greeks called chronos or clock time. But inside there is a hidden thread of grace, an archetypal story of awakening, that lives in the multidimensional world of Kairos- the timeless dimension. In our days of contemplative writing, the bones of your spiritual journey will begin to emerge through your writing and in the mirror of the other good people who have come together to make meaning and share the legacy of their life. Presented by Joan Borysenko, Ph.D. and Gilah Rosner, Ph.D.
Science; you (personalized); Nutrition; Attention and Awareness training; Positive psychology; Spirituality; Epigenetics) is an integrative program teaching evidence-based tools to reprogram brain, body, and behavior. Understand the true meaning of healing, and how to heal your BodyMind. Discover evidence-based practices that promote neuroplasticity and heart reconnection. Learn which food choices optimize brain physiology, cognitive function, and mood., and participate in hands-on culinary demos and tastings of healing foods. Discover what it means to be fully human in a program that blends the depths of spirituality, the latest findings in neuroscience, and the power of narrative. The stories we tell ourselves interact with our brain, nervous system, and emotions—either shutting us down or opening us up to our birthright of flow, relationality, and well-being. In this program, we will explore spirituality as an innate state of deep connection and belonging, rather than as a belief system. The positive emotions of awe, compassion, gratitude, love, trust, joy, and hope are its cardinal signs. Using time honored methods of evidence-based bodymind training—combined with the quintessentially human capacity to create meaning through story—Joan helps you learn how to cultivate a healthy mind and a joyful presence. Create positive meaning through narrative repair.